Atma Connect is an award-winning nonprofit that uses technology to empower people to help one another. We create software products and digital services to connect people so they can report problems, share solutions, and improve their communities from the ground up. Our core principle is that no one understands the challenges or opportunities of low-income communities better than the people who live in them. Our mobile app, AtmaGo, delivers real-time crowd-sourced content directly to user’s mobile phones. AtmaGo is a mobile-optimized website and a free Android app. We envision a world where neighbors help neighbors prepare for disasters, improve access to basic needs, and overcome chronic challenges. 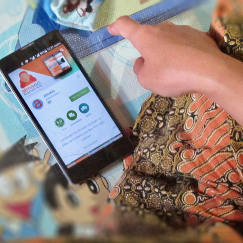 Since 2015, AtmaGo has reached more than 1,200,000 users in Indonesia. 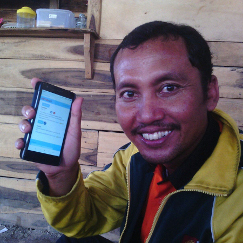 Our users share breaking news on floods, earthquakes, tsunamis, fires, and other emergencies. In addition to increasing each other’s safety during emergencies, our users are helping each other avoid traffic, fix broken infrastructure, find employment and affordable housing, and prevent crime in their communities. In February 2015, heavy rains caused chaos in Jakarta, houses and roads were inundated, primarily in poor communities living along the banks of waterways. 24-hours before media reports, AtmaGo users were posting updates to help each other avoid dangerous situations. By connecting users, we seek to empower them to be agents of change. 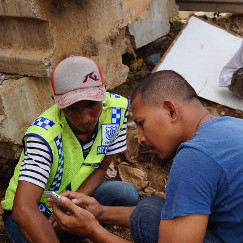 We are proud to work with partners and funders such as American Red Cross,Cisco Foundation, Ford Foundation, the Global Resilience Partnership, IDEO.org, Mercy Corps, Indonesian Red Cross, and other organizations.